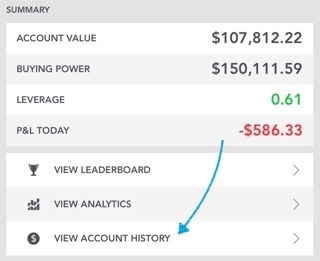 Click on the VIEW ACCOUNT HISTORY in the middle of the screen, which shows a list of all your orders as well as dividends. 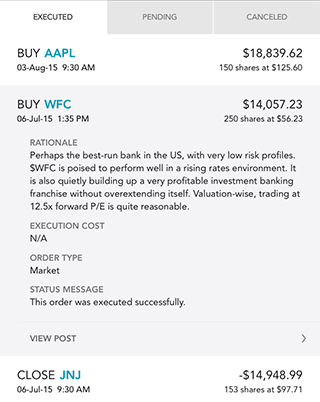 You can tap on an order to see more details associated with the order, including the investment rationale, execution cost, etc. If an order hasn’t been executed, you can also cancel it using this screen. Last modified: April 11, 2016, 7:42 p.m.